My instincts tell me, President Obama has proven himself worthy of being President of the USA and leader of the free world. He has stood up, toed the line and is being Presidential as the USA drops bombs on Libya in another World Police Force action. "You have been weighed, you have been measured, and you have been found wanting. Come back when you're worthy." 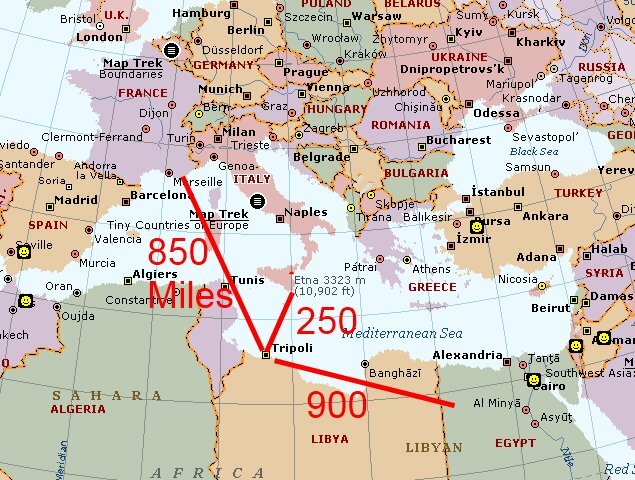 I have to admit, was caught off guard, I did not expect the world to drop bombs on Libya and it makes me weak in the knees to follow along with anything the French probably needs for economic reasons. 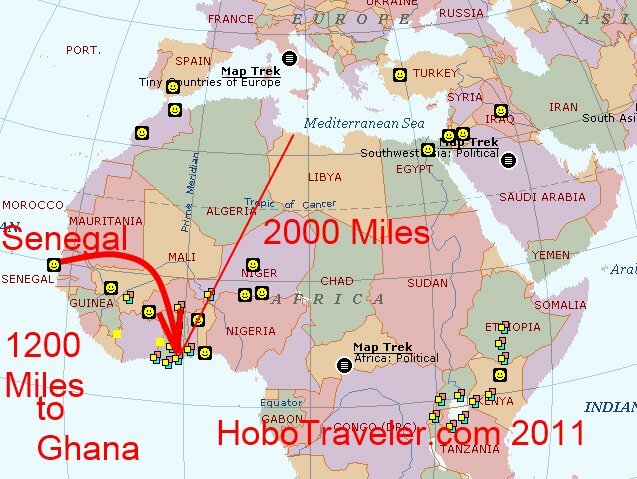 North Africa is the "Mexico of Europe." 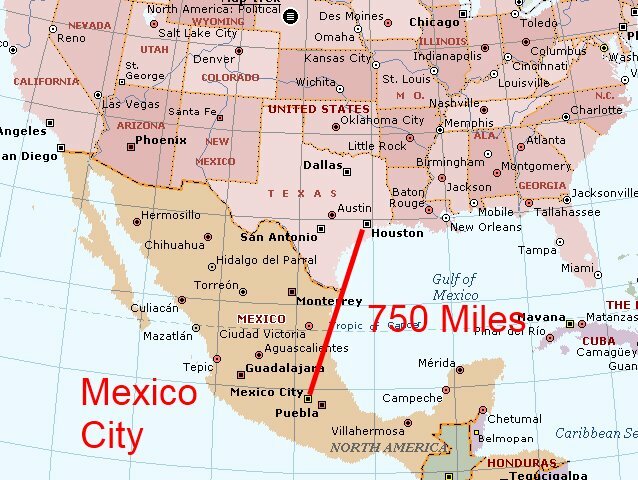 The USA has Mexico as a neighbor, and Europe has North Africa, the USA has it hands up the skirt of Mexico twiddling around, while Europe is doing North Africa. And France is always trying to perform carnal knowledge with all of the Francophone countries. Who sold the fighter jets to Libya? Libya has money because of the resource curse. Please - I need person to call and ask a question. I am in the process of making a recording of questions and answers, it would be helpful if you called into today with a question. I need one more question to start this thing, do not be worried, about any question is good. You can click here for directions on how to call by telephone. 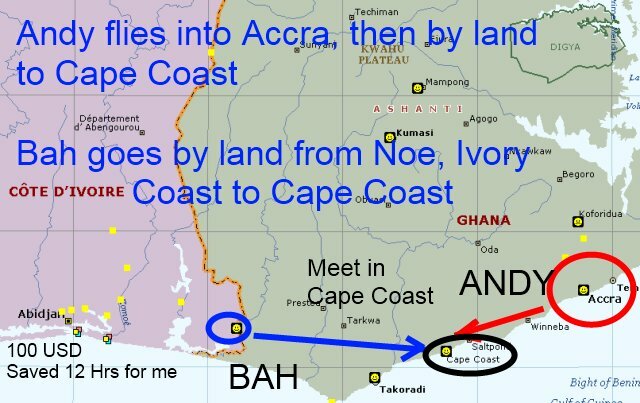 I will fly from Dakar, Senegal to Accra, Ghana and arrive at about 6:00 am in the morning, then take public transportation to Cape Coast and meet Bah my Ivory Coast girlfriend. She will enter Ghana on Monday as I am entering Ghana, she will go to Western Union in Elubo, Ghana and pick up 100 US Dollars that is already waiting for her. I 100 percent recommend all Internationals travelers sign up with WesternUnion.com before you leave the USA or your home country. Then if possible, also talk a trusted person, maybe your wife, family or more intelligent than normal person to sign up also, and when there is a need, you can send money fast. "I do not have money." "The banks are closed here in Ivory Coast, you cannot send money here." I sent 100 US Dollars, it cost me 20 U.S. in fees, this is extremely expensive, you are paying for efficiency and speed. 100 USD saved me from needing to travel to the border of Ghana and Ivory Coast, and insures she feels safe from financial insecurity. I am more than happy, it cost me about 50 USD to avoid about 12 hours of sitting in a van in Ghana, this is a no brainer decision. The world does not treat people fair, all businesses want a monopoly, but there is no alternative so i accept life on life's terms. Paypal.com and Xoom.com are slower alternative, and do not work in half the planet. Western Union is a saint compared to Paypal.com. I think it said something in the Bible about money changers, banks, etc. It is almost always cheaper to wire money, however Western Union sells convenience, and speed. If I had a relative that needed money, I would send them an ATM card. Yes, I see it was Italian, however in French controlled Fezzan. In 1944. And it is not listed as a Francophone country. Arabic is primary.... hmm, this means it more Islamic than I was thinking, I felt it was leading toward similar to Lebanon. This seems to indicate that this country is another prime candidate Sharia law. The question is, how far does France have its finger inside? Can French twiddle their finger to keep these countries from going further into the dark ages by way of religion? Everyone wants freedom for these countries, and the next boss can be worst, the people in thee countries have no understanding of democracy. The USA believes people dream of the democracy of the USA, they dream of the money.